Highstreet.io takes the hassle out of product feed management to make it easy to get your product data in front of more motivated shoppers. Syndicate your products across the web and drive traffic back to your site for increased sales. Multi-language support means you can maximize your product visibility across geographic markets. Don't want to deal with product & store feed technical details across shopping channels? No time to optimize your product feed speed, channel & campaign performance? Need help scaling your shopping campaigns in multiple countries, languages and currencies? We take the standard output product feed from any ecommerce platform or we can automatically generate high quality product data feeds using Kipcast’s proprietary, patent-pending web extraction technology. Our product listing feeds are configured & optimized for delivery to your choice of online shopping channel. Ensure quality and accuracy of your data at all times with our automatic or scheduled updates specific to your destination. We take your existing master feed or feeds in any format that you have. 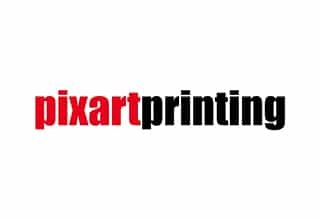 We can also connect directly to major eCommerce platforms or any ad hoc format of your choice. 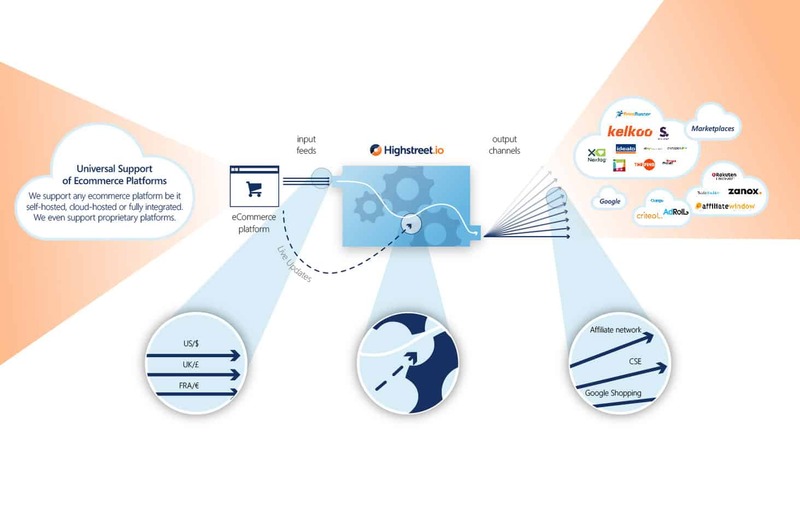 Highstreet.io pulls your product data from multiple locations, formats it and creates master feeds that can be used as the basis for creating your channel specific feeds. A robust master feed with all of your data in the right format can take your merchandising and performance to the next level. Unsure which digital marketing channels to distribute your products on? Once you choose your channels how can you ensure your products will be optimized for that channel’s requirements AND if product data changes, your feeds are up-to-date? Once your feeds are optimized for each channel and the data complete and accurate, what else is left to do? If you are ready to take your campaigns to the next level our campaign optimization services can target your KPIs and optimize our feeds accordingly.